Chinese Zodiac Snake Personality in the Year 2017 - What is Special? Home || Chinese Zodiac Snake || Chinese Zodiac Snake Personality in the Year 2017 – What is Special? 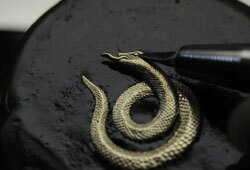 Among the Chinese Zodiac animals, Snake ranked the sixth position. Because of the pliable appearance, it’s always considered as a cunning and sly creature. In fact, whoever was born under this sign is pretty charming and popular since they own the irresistible magnet from the Snake. These people ruled by this animal are known for some positive characteristics, such as agility, intelligence, attraction, discretion, and full of sympathy for others. However, sometimes, they seem to be arrogant, greedy, lazy, and indulging in self-admiration. 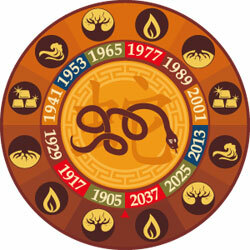 Follow the post: Chinese Zodiac Snake Personality, if you want to gain deep insights into this zodiac sign. We also provide a brief horoscope in the year 2017 for the Snake; if you don’t mind, please visit Chinese Zodiac Snake 2017. This pliable creature carried the meanings of cattiness, mystery, and malevolence, as well as acumen and divination. And the Snake natives are supposed to be the most intuitive person, in Chinese culture. Your animal sign is the symbol of wisdom, eruditeness, and intelligence – so, we are not surprising that you’re pretty good at communication with others. But, instead of talking, you prefer to say little and think much. You’re truly a great thinker, in most situations! The Snakes rely heavily on the first impression, on their sympathies, and on their own feelings rather than the facts, advice, and opinions of others. According to the ideas in Chinese Zodiac 2017 for Snake Personality, these people have a strong sense of intuition (sixth-sense or something like that). When it comes to finances, they’re a bit tight if there’s anybody lends their money, even though they express an intense sympathy towards others. Never judge the Snakes in neither the public or private place because they don’t care or pay attention. With a strong will, Snake natives are always determined to accomplish their set goal. In case they fail, they will continue trying until gaining the success. Leave them their own space to work and think alone. 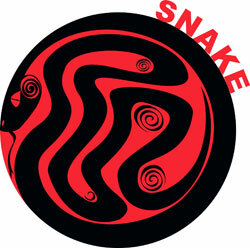 Feel free to ask us anything about Chinese Zodiac Snake Personality…we’re pleased to help!